The most common problems I see in close up photographs are: (1) Light level too low, (2) Camera/tablet/phone too close so subject is out of focus, (3) Camera moved and photograph is blurred, (4) The image is too small (too few pixels) to show detail. You can easily overcome these problems by taking note of these simple points. Take photographs in daylight. Artificial light of any sort is pretty well useless for taking close ups, daylight is much better. You can't rely on your eyes to tell you this because they adapt to lighting conditions, but cameras really struggle to take good close ups by artificial light (unless you have a professional photographer's setup). Make sure that the subject is in focus. A photograph that is in focus can be zoomed to see more detail, and cropped if necessary. A photograph that is out of focus is useless. Don't get closer to the subject than your camera can focus! Keep the camera very steady. If the camera moves at all while the photograph is being taken, the picture will be blurred. If you remember these points you will take better photographs, with even a very basic camera, tablet or smartphone. The most important thing to remember is to use really good light, which means daylight, not artificial light. Cameras are generally designed for taking photographs of people and scenes, they are not naturally good at taking close ups. You need to bear this in mind; good close up photographs are more difficult to take than everyday photographs of people and landscapes. 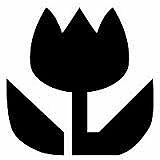 Check to see what the minimum focussing distance is for your camera, and whether it has a "macro" mode for taking close up photographs, often indicated by the symbol of a flower shown here. Don't try to take photographs closer to your subject than the minimum focussing distance for your camera. A picture that is out of focus it is no use to anyone. Don't worry if the subject doesn't fill the frame. If the picture has a good number of pixels, which even a smartphone or tablet does these days, and the subject is in focus, then it can be zoomed to examine detail, and cropped if necessary. If the detail isn't there and in sharp focus, zooming in can't produce any more information. If you want to crop a picture so that you have just the part you need, an excellent and free program for Microsoft Windows is Irfanview. To crop an image, you use the mouse left click and drag to outline the area you want, press Ctrl-Y to crop, and then Ctrl-S to save the cropped image, and you're done! The Right Light is Vital! Make sure that there is plenty of light, and remember that you can't rely on your eyes to tell you this. I can't emphasise this point enough! Most Artificial light, such as normal room lighting or a table lamp, is virtually useless for taking close ups; it just isn't bright enough to make a good photograph, no matter how bright it looks to you. Daylight is much better. Professional photographers use light sources of hundreds or thousands of watts to light their subjects, and they know that lighting for close ups is especially difficult. Using a 60 watt desk lamp or similar is a complete waste of time. Daylight is thousands of times brighter than almost any artificial light, but you most likely didn't know that until you read this, because your eyes adapt. The range of sensitivity of the human eye is much greater than any camera ever made. Your eyes adapt automatically to the ambient light level, and they have an enormous range. In addition, what you think you see is not only the information that is coming in through your retina, your brain uses what the eyes tell it and what it knows about a scene to build up the picture that you ‘see’. In dim light your eyes and brain work together so that the light seems to be quite adequate to show the scene, but a camera can't do this, it can only work with the light that is actually coming through the lens. In dim conditions the camera simply doesn't have enough light take a decent photograph. the slow shutter speed means you will shake the camera during the exposure if you are holding it in your hands. An ideal exposure would be something like 1/125 second at f11, that would freeze hand shake and give a reasonable depth of focus. To achieve this use daylight, either out doors or using a well lit part of a room near to a window, a window cill is ideal. Daylight is much brighter than artificial light, but because of the way that your eyes and brain work together to hide this you won't be able to tell unless you use an exposure meter. Flash illumination is very good at providing extra light and freezing action, but it often doesn't work well at close distances. If you do want to use flash, fit a diffuser and try to use the flash off the camera. Bouncing the flash off a white card onto the subject also helps. To make sure that the picture is not blurred by camera movement, support the camera so that it can't move during the exposure. A tripod is ideal, but a stack of books or magazines that you can rest your elbows on will work nearly as well. Try to make sure that the camera doesn't move during the exposure, squeeze the shutter release gently and confirm that the camera is focussed on the object, and then squeeze the shutter release gently to take the shot without jarring the camera. Even better if you are using a tripod is to use the camera's self timer to release the shutter. 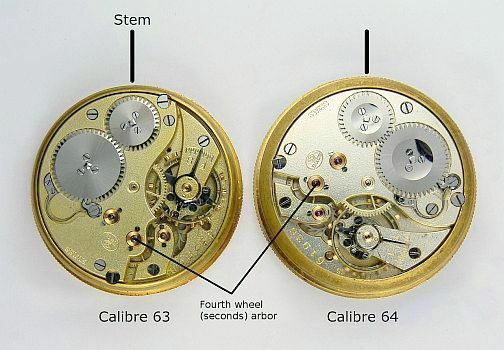 It is a convention that watch movements are photographed with the pendant or winding stem at the top as shown here. This is the way movements are pictured in all the reference books, so using the same orientation makes identification much easier. Illuminance is a measure of how much light is spread over a given area. Light output from a source, with the power at each wavelength weighted according to human visual brightness perception, is measured in lumens. The output is divided by the area that it is illuminating to give the brightness in lux. One lux is defined as an intensity of one lumen per square metre. For photography of objects to show their details, a brightness of 1,000 lux is about the minimum. If the area that you are illuminating (not the object itself) is about one metre square, a light source of 1,000 lumens is required.